Laura Boniello-Krout has been in the fitness industry for almost two decades. She is an ACE Certified Personal Fitness Trainer, a licensed Health Coach, a licensed NYS Massage Therapist, has an Accounting/Business Degree and is a founding member of BKWellness Enterprises LLC. 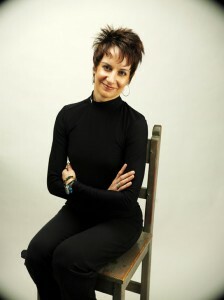 She has studied Pilates for six years and is certified to teach mat classes. She has worked in some of the top fitness clubs in the tri-state area. Her experience includes teaching Step Aerobics, Firming/Toning, and Aerobic Dance/Funk classes. For the past ten years she has worked as a one-on-one personal fitness trainer, helping her clients achieve their fitness goals and improve their overall well-being. As your Adventure Bootcamp Instructor, she is looking forward to giving you a fun, effective and safe outdoor class to get you into the best shape of your life. John Spencer Ellis has been a fitness educator for over 14 years. In this time, he has trained over 2,000 clients and 40,000 fitness professionals. The combination of John’s formal education, practical experience and fun approach to exercise, have made his camps very exciting and popular. John has been involved with health and fitness since the age of twelve and has become one of the most diversely trained fitness professionals in the United States. He holds two bachelors degrees; one in business and the other in health science, an MBA, and a doctorate in education. He has more than fifteen certifications, which include being a certified massage therapist, plyometric instructor, self-defense instructor, fitness kick boxing instructor, water fitness instructor, exercise rehabilitation specialist, golf conditioning specialist, Pilates instructor, personal trainer, clinical hypnotherapist, master PACE circuit training instructor, and yoga instructor. John has a 2nd degree black belt in kung-fu, has completed the Ironman triathlon and finished 5th in the U.S. National Biathlon (run/bike) Championships. He has extensive training in mind-body fitness and alternative health. John is the author of “How Badly Do you Want It? – Your Ultimate Guide to Optimal Fitness,” a contributor to “Power of Champions,” and the Fitness Editor of OC Flair magazine. His fitness articles and interviews have been featured in over 30 publications, and he is a frequent consultant to the world’s media on health, fitness and lifestyle topics. His medical training includes being a licensed radiological technologist, certified medical assistant, and training in McKenzie rehabilitation exercises. He has worked in fitness centers, medical clinics, and has promoted sporting events in CA. In addition, John is on the Advisory Board for the American Association of Personal Trainers and is a Fellow of the National Board of Fitness Examiners. 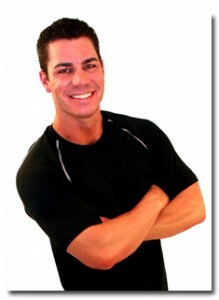 He oversees operations at his facilities; Spencer Escape Fitness Resort and Spencer Wellness Center, both located in CA. John was recently nominated for the CA Community College Distinguished Alumni Award.